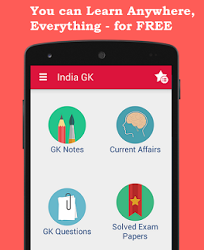 15, 16 November 2017 Current Affairs MCQs, Quiz, Questions: Current Affairs for November 2017, Daily Multiple Choice Questions (MCQs) for India GK, World GK and current affairs with Collection of daily objective type Question by www.Indiagk.net based on General Knowledge (GK) and General Science (GS) Questions for UPSC, State PSC, SSC, Police exam, Railway exam, SBI, Bank PO, IBPC, SSC, LDC, UDC, Army, Airforce, Navy, Coast Guard, Bank Clerk, TET and all entrance examination with current affairs News, Multiple Choice Questions (MCQs) available on Website www.IndiaGK.net and Android Apps with daily updates:. What is the theme of the 2017 World Diabetes Day (WDD)? Which state host India’s first Tribal Entrepreneurship Summit-2017? Cornelia Sorabji was India's first woman ----- ? Kunwar Narayan, who passed away recently, was associated with which field? Which country's military launched a coup on Nov 15, 2017? The 2017 National Press Day (NPD) is celebrated on which date in India?